The Mountains of Instead: FYA Photo-a-Day 10 - TEABS! TEABS - for the uninitiated, The End of an Awesome Book syndrome or the end of book blues. You know the ones... those times where you finish a book that has been so wonderful or which has emotionally slain you so badly that you wonder about for a week or two, listlessly picking books up and setting them down again because NO BOOK WILL EVER EVER SPEAK TO YOU IN THE SAME WAY EVER AGAIN. Those. He's a bad man, that Mr. Ness. With his stories and his characters and all THE FEELINGS. Each of the Chaos Walking books gave me terrible TEABS. And the short story he produced recently didn't help. You can find reviews of The Knife of Never Letting Go, The Ask and the Answer and Monsters of Men by clicking on the links. Read them - they are truly extraordinary - but don't say I didn't warn you. Oh, TEABS... it is indeed a challenging problem, one I've dealt with many a time! 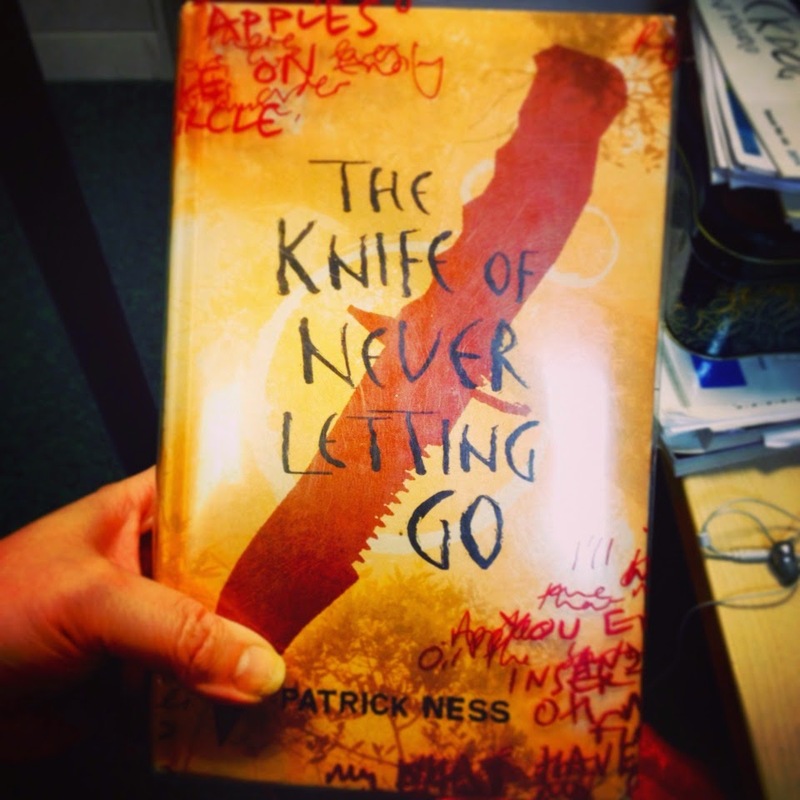 I haven't read The Knife of Never Letting Go, but if it's that good I better add it to my TBR pile!